Someplace between Classic Country and the Rockabilly roots of Rock n Roll is the guitar infused upbeat Honky Tonk sound popularized in the fifties by the young George Jones and the late Johnny Horton. In later years Honky Tonk was carried west to California where it evolved to the Bakersfield sound of Merle Haggard and the late Buck Owens. 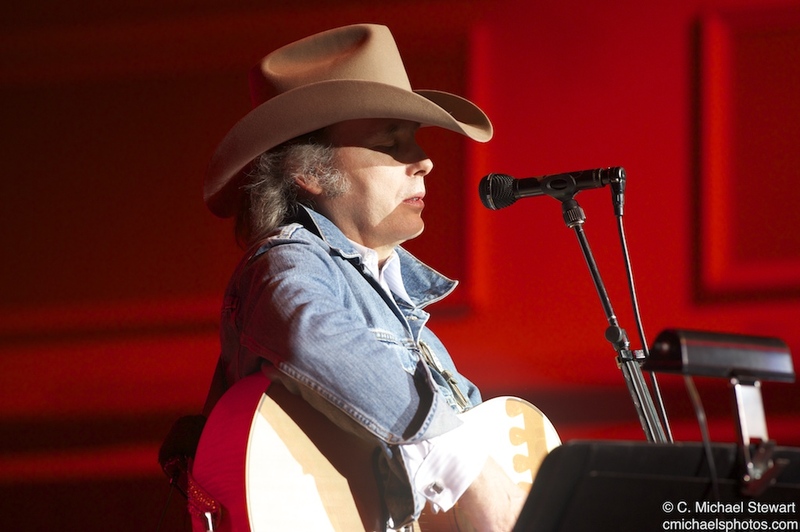 Last night at Horseshoe, Dwight Yoakam proved that Bakersfield Honky Tonk is alive and well. Rockin guitar and rapid fire nasal vocals punctuated an upbeat country sound that had the sell-out crowd dancing and singing for the entire 90 minute show. 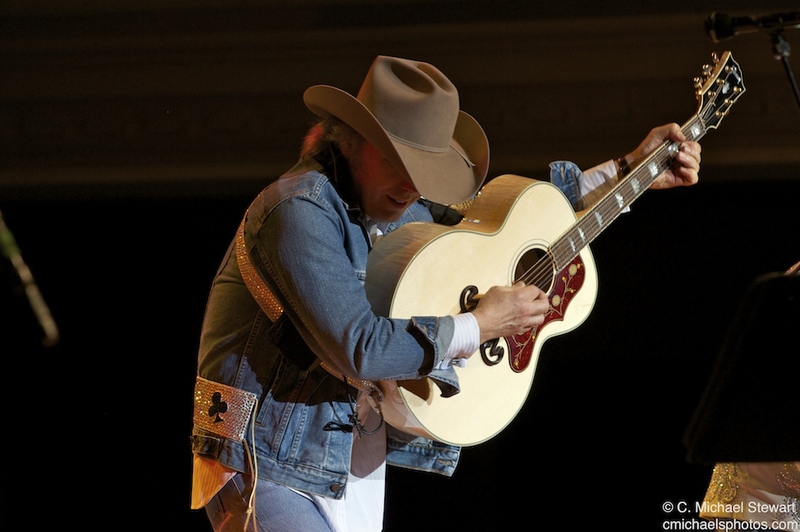 Yoakam delivered his vast catalog of hits in rapid fire succession pausing only to comment that he had family in Louisville and to let the crowd lead on “I sang Dixie”. The show was marred only by a distorted sound system and a 30 minute late start. Otherwise the party boogied on. Yoakam payed homage to his influences with Johnny Horton’s “Honky Tonk Man” that featured an audience sing-a-long. Yoakam’s tribute album to Buck Owens found life in “My Heart Skips a Beat” as well as an impromptu take on the “Buckaroo” instrumental that used to feature Owen’s late guitarist Don Rich. Owens’ work was revisited in both ballad “Close up the Honky Tonks” and fun “Act Naturally”. The “Streets of Bakersfield” that Yoakam recorded with Owens shortly before his death was particularly moving. The performance moved quickly from one tune to another mostly mirroring the studio versions with superb musicianship the only deviation was a more laid back version of Elvis’s “Little Sister” that was at first unrecognizable. Otherwise one toe-tapper after another kept the audience on their feet. Steam continued to build with “Little Ways”, “Ring of Fire”, and “1000 Miles” culminating with “Long white cadillac”. The audience left reluctantly after the encore to scan the dial for Yoakam hits on the radio and dig the Buck Owens albums out of the closet.